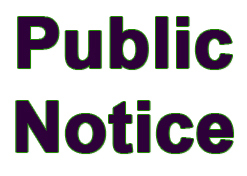 Public Notice The Town of Louisa Public Works Department will begin clearing Hillcrest and Oakland Cemeteries of decorations for the spring grass cutting season. Please remove all items from grave sites by Monday April 15, 2019. We would like to remind all patrons that when flowers or wreaths become unsightly, faded as determined by the Town or 30 days after their placement, they will be removed. Additionally, litter is not tolerated on cemetery grounds and we ask that any trash left behind be removed. The Town of Louisa assumes no responsibility for the protection or maintenance of such items placed on lots. The Town reserves the right to remove glass jars, tin cans, or any other item from any lot, grave site, tombstone, or marker if deemed unsightly by the Town. We thank everyone for their cooperation.